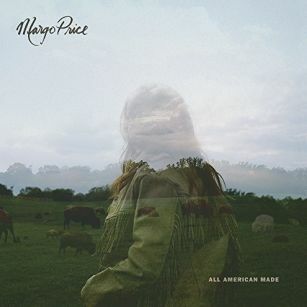 A flurry of voices vie for attention in the opening of “All American Made”, the title track on the recent release from Margo Price. One voice rises above those seeking political favors as Margo Price takes the podium with simple backing of acoustic guitar and snaking riffs from a gnarly six-string to give her view on her own place in the state of current affairs as she wonders how both the president and welfare recipients sleep at night. On album number two for the East Nashville musician, Margo Price plucks stories from real life. Foregoing the need to make up a history for the marketing of her music, Margo shapes her songs from personal circumstances and the experience of living. All American Made returned her to Sam Phillips studio in Memphis where she recorded her Third Man Records debut, Midwestern Farmer’s Daughter. Mentor and friend, Willie Nelson, joins Margo Price as the two struggle over hurdles and pitfalls as they partner in “Learning to Lose” while All American Made hops a train track beat to journey into “Heart of America”, chops chords to cure “A Little Pain” with a touch of funk, and offers words of wisdom with a bite in “Don’t Say It”. 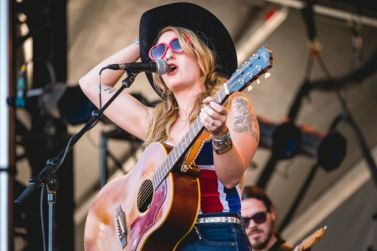 Margo Price balances tunes of personal relationships with a world focus that takes aim at issues. The stories of challenges that fueled the tracks on her debut still find barriers and All American Made targets gender inequality on the Tex-Mex breeze of “Pay Gap”, boards the non-stop tour bus of the working musician in “Nowhere Fast”, surfs an island rhythm to tell the tales of “Cocaine Cowboys”, and inspires the “Loner” to appreciate their place in the universe. Margo Price taps into studio muses to provide local Memphis Soul vibes to advise “Do Right By Me” and puts a Country and Western soundtrack under “Wild Women” to sift through the question and answers filling up the life she has chosen. Adding to a long list of inequality in the human species, Margo Price addresses the divide that exists in the monetary compensation between males and females for performing the same jobs. 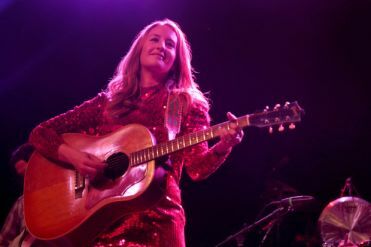 During her recent performance on Prairie Home Companion, Margo Price points out hurdles that date back to 1776, asking the world to ‘do the math’ on a track from her recent album release, All American Made.